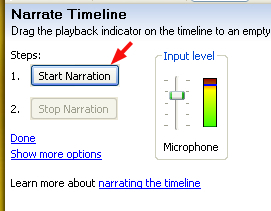 Place the playhead where you want your narration to start in the timeline. 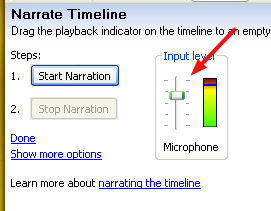 Click on the Start Narration button and start speaking into the microphone. 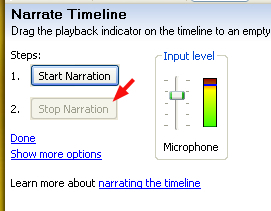 Click on the Stop Narration button whe your’e finished with your narration. 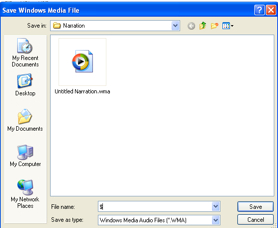 Enter a name for the audio file and choose a save location, then click on Save. The narration will be added to the timeline as an audio clip. 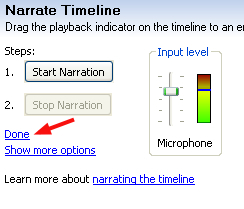 Click on Done when you’re done with your narration.